Pronunciation accuracy may not be the most important thing for making non-native English speakers easier to understand, but rather it is their fluency, including fewer pauses, restarts and speech rate, according to research from Purdue University. A colleague recently sent me a link to Phys-Org and an article titled Fluency outweighs pronunciation for understanding non-native English speakers. This article informs us that the research coming from Purdue University reports that second language English speakers are easier to understand by their fluency more so than their accuracy of pronunciation. Ponder this and then let us know if you agree! Wow, there are so many websites out there for English Language Development that it is hard to keep up on! Here are a few of my favorites. Teachers, I would love to hear about your favorites, too! 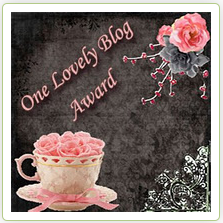 Welcome to Fun To Teach's - Teaching English as a Second Language Blog! 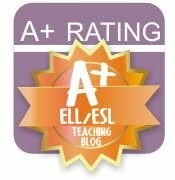 This blog is for all teachers involved in the education of English Language Learners! Let's learn from each other! Teachers we want to hear from you! LipSync- These cards will engage your students in practicing correct mouth formation for English sounds. A must have for ESL and ELD teachers teaching pronunciation. The unique “moving” photographs show students how to form sounds. Students can actually see the mouth in the photographs move to form sounds! Hoops and Yoyo- Thanks to Hallmark for this funny video site offering manners lessons for kids. I like to use it for listening comprehension. Kids really have to listen hard to understand the funny and engaging conversations! Busy Teacher's Cafe is a K-6 resource site for busy teachers! Here you will find resources, ideas, lessons, free printables, and more! Take a look around and enjoy your visit! There is much to love here. Check out the phrasal verb flashcards. Resources for teachers of young learners. All of the resources are designed to be versatile and useful in many K-6 classrooms. Some things on this website are free and some are “thank you” gifts when you make a donation. Founded in 1999, BrainPOP creates animated, curriculum-based content that engages students, supports educators, and bolsters achievement. Our award-winning online educational resources include BrainPOP Jr. (K-3), BrainPOP, BrainPOP Español, and BrainPOP ESL. In June 2011, we launched GameUp™, a collection of top free online game titles that tie right in to curriculum. All of our resources are supported by BrainPOP Educators, our teacher community now more than 135,000 members strong and featuring free lesson plans, video tutorials, professional development tools, graphic organizers, best practices, groups and forums, and much more. Ideal for both group and one-on-one settings, BrainPOP is used in numerous ways in classrooms, at home, and on mobile devices, from introducing a new lesson or topic to illustrating complex subject matter to reviewing before a test. Content is mapped to Common Core, aligned to academic standards, and easily searchable with our online Standards Tool. Uniquely suited for 21st-century learning, all products are fully compatible with interactive whiteboards, learner response systems, projectors, Macs, and PCs. No downloading, installation, or special hardware is required. BrainPOP was conceived by Dr. Avraham Kadar, M.D., an immunologist and pediatrician, as a creative way to explain difficult concepts to his young patients. Today, we host more than 11 million visits to our web sites each month. We take pride in our in-house team of educators, animators, and writers, who produce and continually improve BrainPOP, incorporating valuable teacher and parent input. We are aided by diverse group of educators who serve as our Academic Advisors. To start exploring BrainPOP Jr., BrainPOP, BrainPOP Español, and BrainPOP ESL, register for our Free Trial. BrainPOP Educators and GameUp are always free. Read the science-based research that demonstrates BrainPOP's impact and effectiveness. Ready to subscribe? Visit the BrainPOP Store or our Funding section. Index Card is an app that allows users to customize flash cards and organize them into categories called “Stacks”. Wordventure is an app that teaches students parts of speech while creating fun stories. iThoughtsHD is a mind mapping tool for the iPad. Mindmapping enables you to visually organize your thoughts, ideas and information. MindMeister lets you create, edit and share your mind maps on the go and synchronize them with the award-winning free online MindMeister service. The free Puppet Pals app allows students to create their own unique show with animation and audio. Speak It! provides advanced text to speech with multitasking features. Turn your photos into comic layouts with Comic Life. Speech balloons, fonts and filters give you all the tools you need to make the perfect photo comic. Ispeakspanish is a text translator that uses high quality text to speech synthesis to speak the translated phrase back to you in the target language. Word A Day Visuals and Audios increases knowledge of vocabulary through humorous words, images and audio for each word. Similar to Stack the States, Stack the Countries is a game that asks questions about the facts of the world's countries. Stack the States is an educational game that helps elementary students learn about U.S. geography. National Geographic World Atlas HD providing users with high resolution, press-ready images. This Discovery Ed app makes learning about our country fun as it is challenging with videos, games and quizzes with curriculum that's aligned to national standards. My Math Flash Cards allows users to master basic elementary math facts. Kids Math Fun includes a series of math applications for Kindergarten through Fifth grade. Available in English, French, Spanish, Portuguese, Filipino, Turkish, and Korean. This is a site based purchased curriculum. Grammar Gallery is an electronic toolbox designed to support teachers implementing Systematic ELD or another approach to explicit grammar instruction. The Main Gallery includes 300 downloadable resources, each including concept pictures, sentence frames, a student worksheet, and background information for the teacher. The Reading Gallery includes 300 downloadable fiction and nonfiction readings that integrate the grammatical forms, language functions, and topics covered in the Main Gallery. Comprehension questions are included with each reading. The Student Gallery includes grammar reference sheets, writing rules, interactive virtual adventures, and interactive student practice sheets. Grammar Gallery incorporates more than 5,000 full-color photographs and illustrations, including Picture Prompts that can be used for additional practice and assessment. * Perfect for English learners at all proficiency and grade levels. * A supplemental program that can be used to build vocabulary, teach grammar, and develop academic language proficiency - all at the same time. * Aligned to the LANGUAGE strand of the Common Core State Standards. Please take some time to explore this site. It is comprehensive and can save ESL teachers so much time! What Are the Other Grade Levels Doing? Pinterest Boards for Fun To Teach!